Readers Question: what does AD stand for in economic terms? 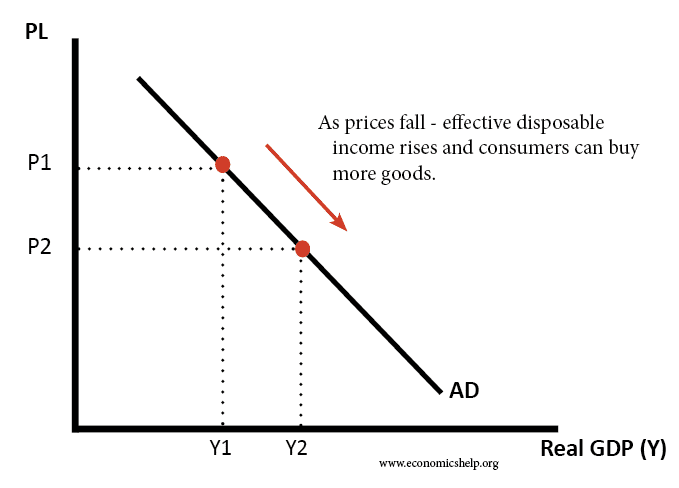 AD = Aggregate Demand. – the total planned expenditure in an economy. AD places a crucial role in determining the level of national output in an economy. Although Monetarists will argue it is AS which will determine the long run trend rate of growth. In this case, there is a shift in the SRAS (e.g. 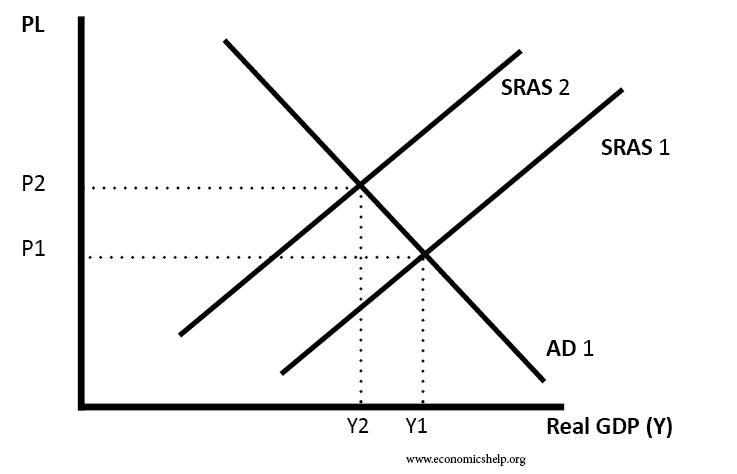 increase in oil price shifts SRAS to the left). This leads to a higher PL and lower real GDP. Why does AD slope downwards? If there is a lower price level in the UK, UK goods will become relatively more competitive, leading to higher exports. Exports is a component of AD so AD will be higher. At a lower price level, interest rates usually fall, and this causes higher aggregate demand. Why is AD downward sloping? it give me some knowledge ABOUT ECONOMICS AND RELATED TO this MATTER! thank you.God Bless and more success! 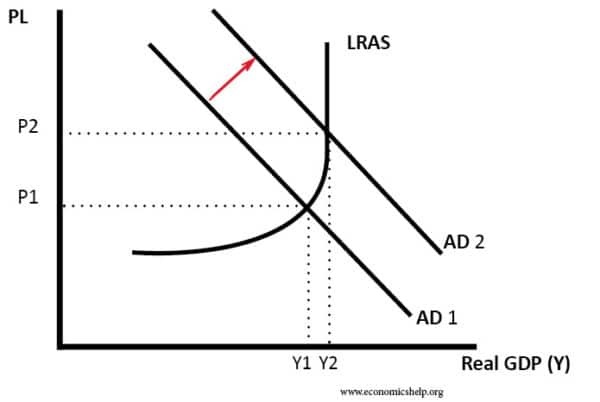 what will happen when the government spending increasing to the aggregate demand????? kareem, look up keynesian economics and that’ll show you how government spending will increase aggregate demand. The uncertainties in our economic times and the global integration of financial markets have created a 24/7 financial banking environment. If one includes computer driven financial software in the commodities and other markets. It almost becomes impossible to sort things out and reach any conclusions that will stand up in the next twelve hours. The uncertainties in our economic times and the global integration of financial markets have created a 24/7 financial environment. If one includes computer driven financial software in the commodities and other markets. It almost becomes impossible to sort things out and reach any conclusions that will stand up in the next twelve hours. The uncertainties in our economic times and the global integration of financial markets have created a 24/7 financial investment environment. If one includes computer driven financial software in the commodities and other markets. It almost becomes impossible to sort things out and reach any conclusions that will stand up in the next twelve hours. Is the U.S. economy slowly growing? What about U.K? The exchange markets go up and down with more volatility than we have ever known. Every 12 hours there is a new reason the markets gain or go south. One day it’s oil, the next day employment, next natural disasters, the next political upheaval. There is no sustainable direction one way or the other. Broader trends are harder to detect. Is it the new speed of trading, volume, and globalization of interactive exchanges. My question is: Is the U.S. economy slowly growing? What about U.K? The exchange markets go up and down with more volatility than we have ever known. Every 12 hours there is a new reason the markets gain or go south. One day it’s oil, the next day employment, next natural disasters, the next political upheaval. There is no sustainable direction one way or the other. Broader trends are harder to detect. Is it the new speed of trading, software-driven split second trading, volume, and globalization of interactive exchanges. What are you supposed to do with G if G=Gbar but it required in the equation?